Let’s admit: node_modules is a blessing and a curse. npm is the world’s largest software registry, listing more than 350 000 packages. This unrestricted access to the collective mind comes at a price: any third-party module is effectively a pig in a poke. Each new dependency drags more dependencies, increasing your project’s size uncontrollably. 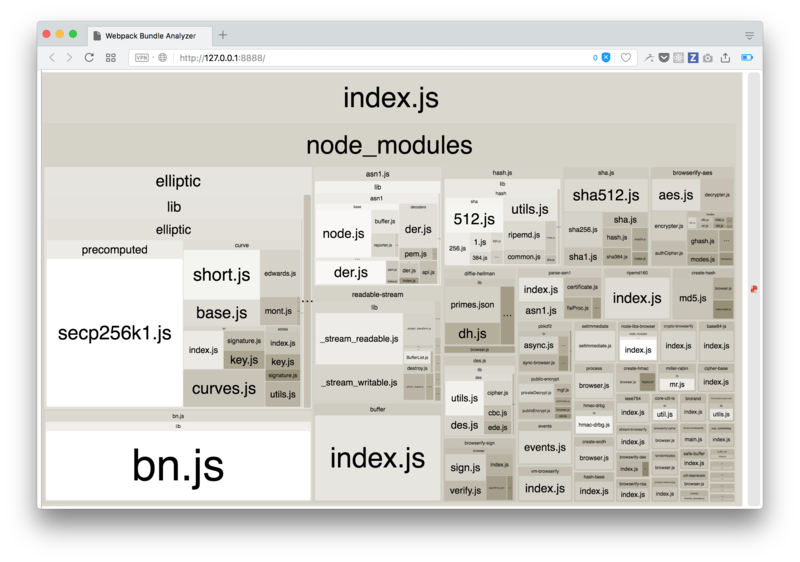 Size is especially important when our package is intended to work both in a Node.js environment and in a browser. When it comes to client-side code, we are fighting for bytes. Moreover, even built-in Node.js modules can be a threat to your library’s size if you misuse them even slightly. We’ll see that in a moment. Average script size for a site in 2016 was 357KB; this is an increase of 332KB as compared to an average site in 2010. What if we could easily find a source of those extra kilobytes and limit the size of our bundle to some sane value? This way we will impose some discipline on ourselves, one that will serve a greater good: the microcosm of our app will stay micro. Size Limit embraces exactly this philosophy: a path to happiness through limitation. Let’s give it a try! Now run node test.js in your console to see three random numbers. Our code uses two different techniques to achieve randomness: one with the browser’s built-in Crypto interface, another with Node’s default crypto module. We use Node’s process.browser to switch between the two, depending on whether our library runs in back-end or front-end. Simple enough. This code looks completely benign, but contains three mistakes, or rather slips, that will make our library much larger than necessary once it is included in a bundle. Okay, we have typed 250 symbols worth of code. Wonder how much Webpack will actually yield? Let’s find out! Time to meet Size Limit. Here is what it does, according to project’s description: “To be really specific, Size Limit creates an empty webpack project in memory. Then, it adds your library as a dependency to the project and calculates the real cost of your libraries, including all dependencies, webpack’s polyfills for process, etc.” I know you can’t wait to see the result. A new browser page will open where you can marvel at all the dependencies included in the bundle when you added that require('crypto') line. 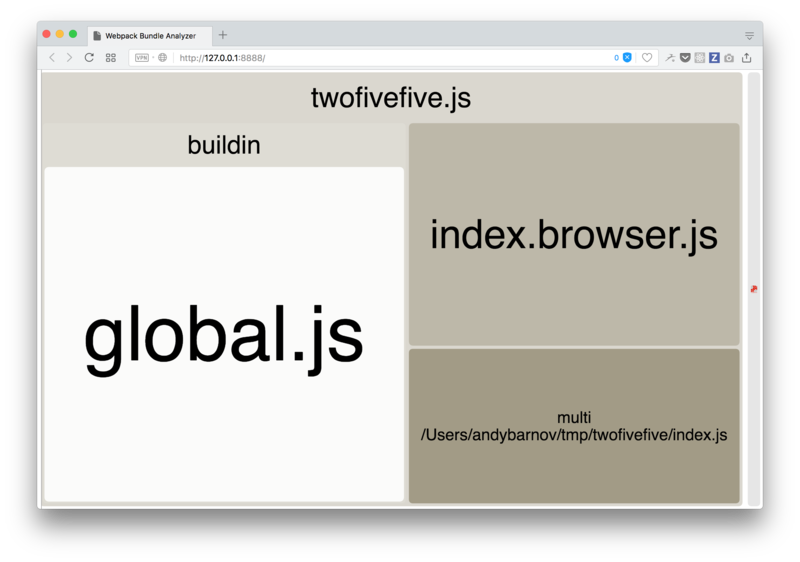 Then, in our package.json we need to add a top-level "browser" key that will be recognized by Webpack once the time comes to build a bundle, so the server version will not be used at all. Shall we try with Size Limit again? Sure! Whoa! 92 bytes versus 94.67 kilobytes. That is 1 000 times lighter. Turns out, after refactoring we keep referring to Webpack’s global object instead of browser’s window. Sure, it is just 136 extra bytes, but those are bytes we do not need. 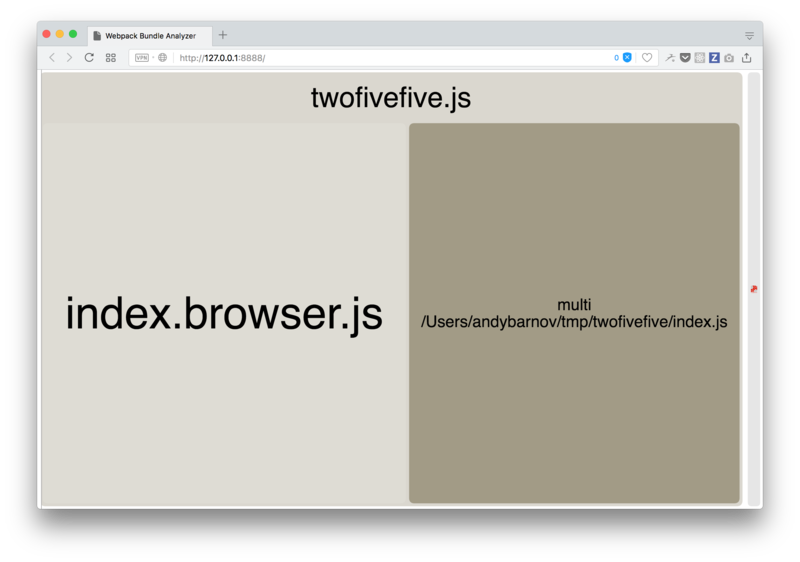 Let’s just use window directly, as we are sure that Webpack will serve only index.browser.js to the browser, and all browsers sure have windows. This way our bundler won’t have to generate a polyfill. Finally! Now any front-end code using randomNumber() calls will increase the bundle size just by seventeen bytes compared to ninety-four kilobytes in the first implementation. Sure, our Node.js version will still be heavier, but we don’t really care about it, do we? It is in the back-end, so it will not be sent over to the client. 5000x gain! Actually, it’s /5000 gain! Of course, we are not releasing our twofivefive as an OSS project. But if you already have one, or just mustering up the courage to start one, you can easily add Size Limit to your TravisCI config (or another CI tool of your choice) so it will run on each new pull request, making sure no one added extra 100 kilobytes of dependencies to your project by mistake. But I don’t want to write a library! Will it work for my app? See that webpack: false part? That means Size Limit will not create a virtual Webpack bundle in memory for you but will work with the one you already have in your project. Then you can always be sure that the bundle you send to the client will never bloat out of proportions. Shave 100KB off of Logux-client by changing a dependency. Save 70B by changing global to window in Nano ID. Make PostCSS 25% smaller by skipping terminal syntax highlighting in a browser. You can do your part! Adding Size Limit to your favorite project is just one pull request away. A pull request that changes less than 10 lines of code. Remember to be polite in the description! Here’s a good example. 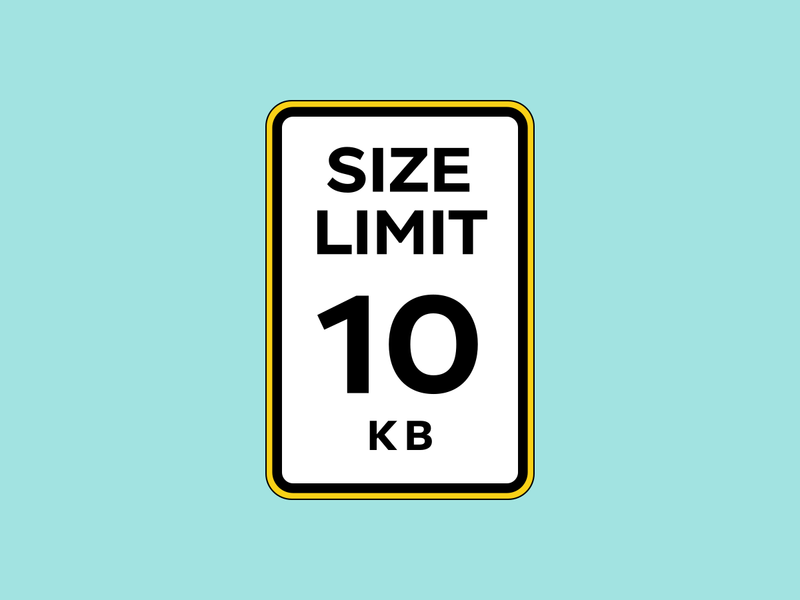 Size Limit was created by an OSS enthusiast for OSS enthusiasts. Thank you for supporting this tool and appreciating that in front-end Web size is what matters the most.